I don’t have a whole lot of experience of the Arran and in fact may not actually have ever had the Arran 10 before. At least I don’t recall it—not that that’s saying much at this point. I do like the 14 yo very much, and I also liked the single sherry and bourbon casks I reviewed (the port cask finish, not as much). Interested to see what I make of this one. Let’s get straight to it. 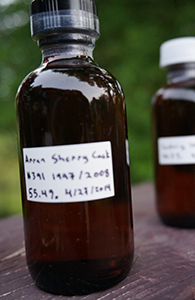 I’ve previously reviewed a single bourbon cask Arran and a single sherry cask Arran. This one is not, I believe, a single cask, and it is in any case not matured for the full term in port casks, merely finished in them–though for how long I don’t know. I’m not sure either how old it is. It’s hard to stop up this gushing fount of useful information but it’s time to taste the whisky. 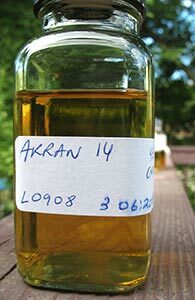 The last Arran I reviewed was a single bourbon cask from 1998, and I quite liked that one. This is a sherry cask from 1997 and it may be the first sherried Arran I’ve ever had (I’ve not had very much from this distillery). I’m curious to see if I will be able to see any family resemblance beneath the sherry. Let’s get right to it. 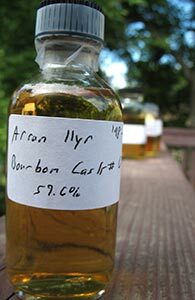 A single bourbon cask Arran released in 2009. I think this one might still be around in the US, and I think it runs $15-20 more than the 14 yo at 46%. I tasted and wrote this up immediately following the 14 yo that I posted a review of yesterday. Let’s get right to it. Nose: Not a million miles away from the 14 yo at 46% at first nosing: grassy malt and fast expanding lemon. The musky fruit I got on the 14 yo is less in evidence here and there’s more beeswax than honey; white pepper as well. Quite clearly a sibling of the 14 yo. With water there’s more citronella on this one too and a lot more vanilla. Really quite lovely. 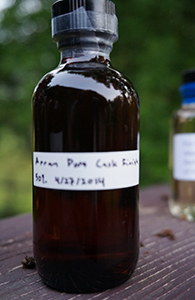 Arran are one of the newer Scottish distilleries, established only in 1995. As with the revived Bruichladdich after them, in order to keep the cash flow going, Arran have released a large number of finished and other experimental young malts in special releases and limited editions. Not all of these have been everyone’s cup of tea and the distillery thus has a somewhat variable reputation. However, I really like this official 14 yo which was released in 2010. Bottled at 46% and without chill-filtration it seems to highlight the quality of Arran’s spirit coming out of ex-bourbon casks. It does seem to confound further the notion of terroir in malt whisky that some are increasingly committed to as this tastes very similar to bourbon cask malts from the Speyside.